If you are visiting our website, chances are that you already suspect that a nursing home severely hurt your loved one, or worse, is responsible for your loved one’s passing. So, you should call because you have questions. Is the nursing home lying to me? Am I responsible for the medical bills? Was there something that anyone could have done? How do I get a copy of my loved one’s medical records or death certificate? How long will it take to resolve my case with the nursing home? All you have to do is call. Our consultations are FREE and you will speak directly with a Georgia nursing home lawyer. Attorney access: From your first call to us through final verdict, your case, as well as any questions or concerns you may have, will be handled by either attorney Will Smith or Rob Schenk. You will never be passed off to an office administrator or paralegal. You will have consistent access to the lawyer working for you. That is the only way to build trust. Focus: The law expands in complexity every year. As such, the days of the “General Practice” lawyer are over. Our firm focuses on nursing home neglect and abuse so that we can stay ahead of the latest changes in the law, trial strategies, and medical standards. This approach translates to experience, results, and a respected reputation. Why do we focus our practice on nursing home abuse and neglect? We focus on nursing home injuries because this is what we are most passionate about. One of our founding attorneys, Will Smith, spent ten years working as a certified nursing assistant in nursing homes across Georgia. We have seen firsthand, both inside and out, how nursing homes can cause pain and death. Seniors are one of our most vulnerable populations. We take pride in being advocates for those who are overlooked, marginalized, and mistreated. What is nursing home neglect and abuse? What are the signs? A nursing home commits ‘neglect’ when its actions fall below a reasonable standard of care. For example, failing to reposition or turn an immobile resident according to a physician’s orders. A nursing home commits ‘abuse’ when its actions are intended to cause harm to the resident, or are so egregious that wrongful intent may be inferred. Physical assault or illegal chemical restraints are examples of abuse. Both may lead to civil and criminal liabilities for the nursing home. Abuse and neglect come in many forms, including sexual, physical, and emotional. Each have particular signs that you should watch out for. Strange bruises or scratches, bedsores (pressure ulcers), extreme behavior change, and unexplained hospital stays are just a few. The bottom line: TRUST YOUR GUT. If you think that something is not right, then it is likely not right. It is OK to ask the nursing home questions. It is OK to call a lawyer to investigate further. We recently mediated a settlement for the estate of a nursing home resident who became entangled in window blind cords and choked to death. The nursing home described the event as a ‘tragic accident.’ Upon investigation, we uncovered that the resident, who had advanced dementia, had been left unattended for long periods of time. 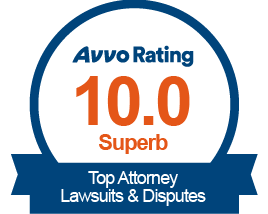 We were able to recover the family a substantial, confidential settlement. Absolutely the best. Very personable and actually listens and doesn't pretend to listen. Went over and beyond for me and stuck it out with me as if I was defending him. Rob, made me feel like I was a family friend who needed help and I appreciated that. You can tell that it isn't just another job to him and your not just some number on a paper. He actually does care and this is a passion for him, my first choice recommendation for everyone. No arguments. Rob and Will were great. They helped me to resolve a very emotionally charged case. They made themselves accessible, replied to all questions, we're patient and excellent advocates. Oh my!!!! I was at my wits end! My father died from serious neglect at a nursing home. I went to a prestigous law firm and received NO satisfaction. After interviewing several new firms, I finally was led to Schenk Smith! Best decision ever! Highly skilled, professional and sensitive to our situation. Trust was established and I highly recommend this team. My dad can rest in peace now! You can't lose with the stuff they use!! What is our approach to nursing home cases? Once we take a case, we immediately begin investigating the claim. We order medical records, interview witnesses, and have experts review documents. We place the nursing home on notice to preserve evidence. We communicate with government regulatory agencies. Once we establish the case, we initiate either negotiated settlement, arbitration proceedings, or a lawsuit. The objective is to force the nursing home to set right what they have done wrong. At the end of the day, we will help you achieve a resolution for your loved one. Generally, this involves recovering monetary compensation. It sometimes also involves hearing the nursing home admit to wrongdoing and apologizing. October 12th A nursing home employee hurt my loved one- Can I sue the nursing home? If you have a loved one in a nursing home or assisted living facility, the thought of that person being the victim of neglect or abuse is horrifying. Unfortunately, this kind of abuse occurs every day in Georgia. At the Georgia law firm of Schenk Smith, our lawyers have years of experience litigating personal injury claims on behalf of families whose loved ones were hurt or killed by nursing home neglect or abuse.